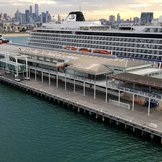 Viking Ocean Cruises newest ship, Viking Sun, will debut in December 2017 as she embarks on Viking's first-ever World Cruise. 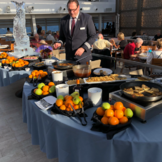 Featuring the same understated interior design and inviting public spaces found on sister ships Viking Sea, Viking Sky and Viking Star, this elegant vessel will accommodate 930 lucky guests and continue Viking's theme of an intimate, relaxed onboard experience, privileged-access excursions, and destination focus. Offering world-class service, a veranda in every stateroom, two pools including a glass-backed infinity pool, outdoor gym/yoga area, luxurious spa complete with "snow grotto," a variety of dining options from casual to private, and more time in port as well as a host of cultural enrichment opportunities, a cruise on Viking Sun will surely deliver an extraordinary world-class experience. 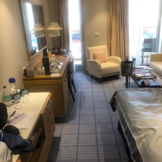 Trip of a lifetime, Viking took care of everything from pre cruise to post cruise. they treat you like a king , been on over 10 cruises and they have the happiest crew in the industry. It is really a pleasure for them to serve you. Viking pays attention to details. We have Viking withdrawals after leaving the ship. Looking forward to our next cruise.